In November 1962, when Freddie Hubbard recorded ‘Ready For Freddie’, he was the bright young thing on trumpet and alongside Lee Morgan was the heir apparent to the mantle that Clifford Brown wore before his untimely death in 1956. At the time of this recording Freddie Hubbard was a member of Art Blakey’s Jazz Messengers in the sextet that also included a young Wayne Shorter. 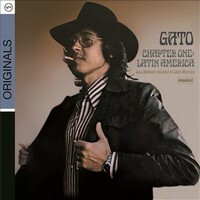 Hubbard combined the hard edged Bop of Blakey with elements of John Coltrane. 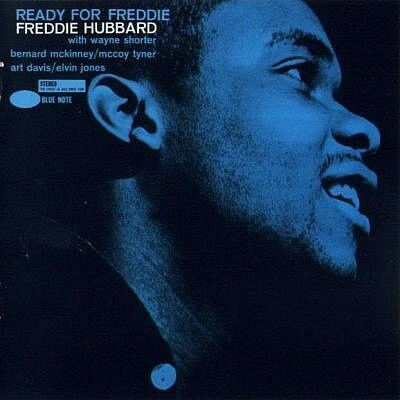 On ‘Ready for Freddie’, Hubbard uses Coltrane’s pianist and drummer – McCoy Tyner and Elvin Jones. He manages to fuse the two styles seamlessly, of course musicians of the calibre of Tyner and Jones help as well as a fine performance from saxophonist Wayne Shorter. Bernard McKinney’s euphonium adds a different twist to the horn lines. ‘Arietis’ and ‘Marie Antoinette’ with its intoxicating horn phrases stand out as does the upbeat blues of ‘Birdlike’. Freddie Hubbard first recorded ‘Crisis’ for Art Blakey’s momentous set ‘Mosaic’. Hubbard version of his own composition is a bristling affair with Hubbard on fire. His playing is breathtaking (literally) and ‘Ready For Freddie’ must rank as his finest Blue Note album – at least to these ears.